During a press conference called by Taiwan Suicide Prevention Center, President Ma Ying-jeou reminded the audience not to forget 2006 – the year with the highest reported cases of suicide in Taiwan. Records showed that there were 4,406 suicides that year. 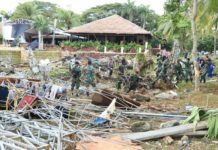 President Ma added that his administration had been on high alert in the months following Typhoon Morakot because they had been warned about the probability of increased suicides rates as people were overcome by grief and despair. Their preparedness apparently paid off because reported cases of suicide had decreased by 250 people from January through June of this year in contrast to figures reported for the same period in 2009. He underscored that suicide rates were highly correlated with economic downturns. Since he predicted an 8.24% increase in GDP for this year, he also expected a decrease in the number of suicides. Taiwan Lifeline International reiterated President Ma’s assertion and confirmed also that suicide rates had indeed increased in recent years due to the global financial crisis. However, it also said people most prone to suicide were those with psychological illnesses and those on the verge of an emotional breakdown. Mackay Memorial Hospital’s (MMH) Suicide Prevention Center reported that its Taipei and Tamsui branches had counseled 1,559 people in 2006 either over the phone or in person. This figure rose to 6,716 and 15,960 respectively in 2007 and 2008. It decreased slightly in 2009 to 13,848. For the first half of 2010, there were 7,115 reported cases of over-the-phone and in-person counseling related to suicide prevention. The center’s coordinator, Rev. 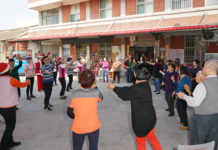 Wang Jung-yi, reiterated Taiwan Lifeline International’s assertion that, though the number of reported suicide cases have gone down, the number of patients visiting hospitals due to psychological disorders such as clinical depression, schizophrenia, and emotional breakdown have actually skyrocketed. In response to President Ma’s optimistic outlook, experts say the actual number of suicides per year are likely much higher than government reports – perhaps as much as seven times higher. Some pastors felt that President Ma should have chosen the year with the lowest number of recorded suicides as his reference point instead of 2006 if his concern was indeed genuine and beyond electioneering. 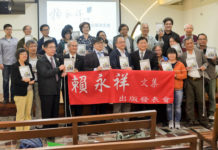 In an effort to reach out to overworked and stressed-out pastors, as well as the general population of non-Christians who need to hear the gospel, PCT General Assembly invited Anselm Grun to Taiwan. His nationwide tour is scheduled to kick off October 18, 2010 and will include as many as 17 forums on spiritual formation and renewal for pastors, Christian seekers, and non-Christians alike. Anselm Grun is a Benedictine padre and the author of more than 300 books that focus on spirituality. PCT hopes that its members and pastors will be inspired and spiritually renewed by attending Grun’s conferences. It also hopes that Grun’s messages, coupled with Calvin’s teachings on glorifying God and Catholic churches’ emphasis on spiritual formation and inner transformation, will go a long way in drawing Catholics and Protestants closer together in ecumenism, as well as offer some much-needed guidance to Christians. Grun’s conferences will stress on issues such as ecumenism between Protestants and Catholics through common evangelistic ministries, Grun’s understanding of Jesus’ 7 statements while on the cross, the beatitudes, and the Lord’s Prayer as general tools for spiritual counseling, and how these tools are proofs that only Christ can change human hearts and mainstream world views.